The Mayor of New York has determined to clear the park at the insistence of the owners of the park today, using safety and sanitation rules to skirt the 1st Amendment in a "reasonable" way. Demonstrators are keyed up waiting for the police to come. 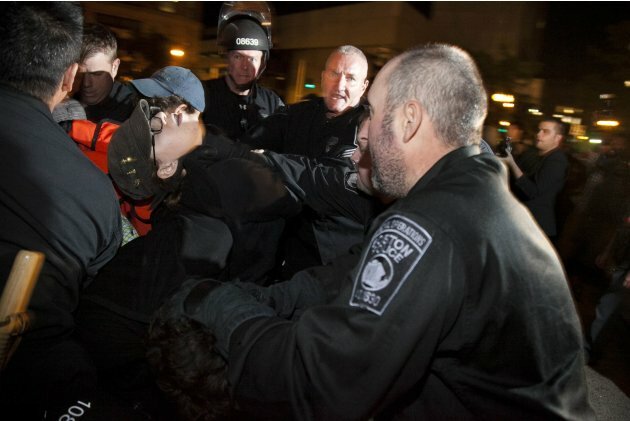 Arrests have been ongoing at #OccupySeattle, San Francisco, Denver, Boston and other places over the last few days and it seems like tonight it is a co-ordinated effort to dislodge the entire #Occupy movement simultaneously. The next 2 days are going to be very important to the revolution. Today they try to stop us but tomorrow we fight back. Yes, Virginia, there are agent provocateurs; this is no "conspiracy theory"
No, this was no prank. An insider's view of the stock market. You snoop us; we snoop you. Transparency should work both ways. Well, that's it for you, Ralph. You are the weakest link; goodbye. 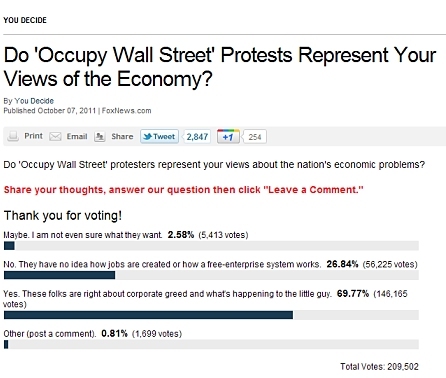 Occupy Wall Street: "This is not an Obama rally"
PLEASE decide on some goals so we can attack them and quit looking silly! - The #OccupyWallStreet Trolls Association. Dear Protesters: your message is invalid unless you give up all human progress and become cavemen. Dear Protesters: There's injustice all over the world. You can't fix everything so you are being fake. Playwright needed for remix, "Wall Street Story." Must know music, choreography, lyrics. Inquire within. 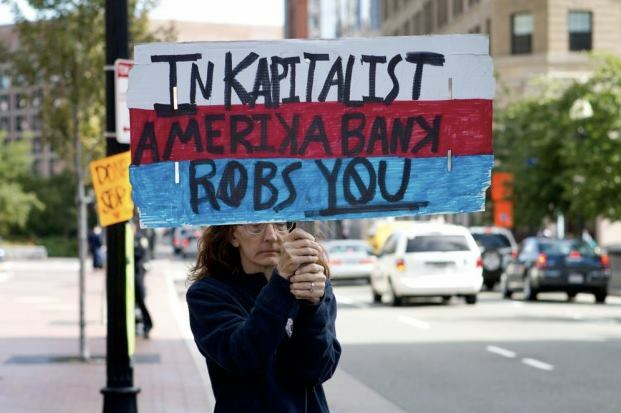 Facts: More Tea Partyers on drugs than insinuated at #Occupywallstreet - Xanax, Paxil, Prozac, Vicodin, Ambien, Valium, etc. @xxxxx #OWS is creating a network of microvillages in public areas, run by leaderless consensus, for purposes not yet articulated. US now ranks 93rd in the world in "income equality," behind China, India, and Iran. The 1% controls art culture by investment. They have robbed art from the people.